Supladong Aklat E-book PLUS 1 month Pre-paid One-on-One Coaching with Doc Mon! The SUPLADONG AKLAT Premium Package is for serious songwriting students who want to speed up their learning curve. The package comes with the Supladong Aklat E-book and one (1) month Pre-paid coaching by Doc MON DEL ROSARIO from the time of enrollment. The consultations may be done via video chat, Messenger, email or mobile phones during designated Coaching Consultation Hours. Students may consult with Doc Mon for Song Review or regarding any Songwriting matter especially while in the middle of the creation process. This is equivalent to Doc Mon looking over your shoulder while you are writing a song and a much needed assistance if the song you are writing is intended for a Songwriting Competition! Songwriting is both Talent and Skill. While you may have the Talent to create melodies and lyrics, without the proper Skill set, you will not grow as a Songwriter most specially if you intend to generate income from your creations. You may learn through TRIAL & ERROR but this is not time efficient. What you need is to learn enough Basic Skills, the right ones, to be able to generate income as early as you can. The One on one Coaching with Doc Mon is intended to do just that. You can take advantage of Doc Mon's extensive knowledge & skills as a Songwriter, Musical Arranger, Film Musical Director, Recording Artist, Record Producer and Intellectual Property Consultant to speed up SKILLS ACQUISITION! Clarification of any concept, principle or technique taught in the Supladong Aklat ni Doctor Musico and other training courses created by Doc Mon. Contracts and Agreements (Mechanical, Synchronization, Music Production, OSR Licensing, etc. ** Doc Mon has discount privileges with music equipment suppliers that the songwriting student can take advantage of. Within the designated Coaching-Consultation Schedules, the student may post spot consultations via Text, Messenger or email. Doc Mon will address the inquiry as soon as convenient. Concerns via email may be sent to one-on-one@mondelrosario.com. For Song Review, an appointment must be made with Doc Mon and the mp3 copy of the song as well as the lyrics sheet must have been emailed prior to the Coaching-Consultation meeting. MON DEL ROSARIO is a multi-faceted professional. After finishing a doctorate degree in Medicine, he went on to pursue a career in the music and entertainment industry as a Film Composer, Musical Arranger, Record Producer and Recording Artist. 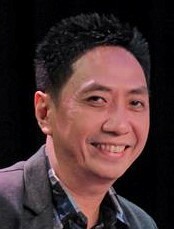 He has composed the now classic hits “Somewhere in My Past, Boy, Sino ang Baliw?, Tamis ng Unang Halik”, and the monster hit “Isang Linggong Pag-ibig” and has over 300 film credits as Film Musical Director. Among his awards are the following: Best Music, Manila Film Festival (1994-1996), Best Musical Score, Pista ng Pelikulang Pilipino (1992), Grand Prize Winner, 1981 Metro Pop Music Festival for Sino ang Baliw?, UST Benavidez Award for Artistic Achievement (1982), Cecille Lloyd Award for Best Country Ballad (1985) and Awit Awards for Best Country Ballad (1992). He is past President of the Filipino Society of Composers, Authors and Publishers (FILSCAP). Presently, he is the resident judge in UNTV’s A Song of Praise Music Festival. He also does consultancy in recording studio and sound acoustic design, music licensing and intellectual property management. Outside of the music and entertainment industries, he is a triple licensed Financial Planning and Risk Management Practitioner. Ano ang mga paraan para mag-aral sa Supladong Aklat Course? Puwede mo pag-aralan ang book on-line or i-download mo ang PDF version sa mobile device para kahit offline ka puwede ka mag-aral! Hanggang kailan ko puwede i-view ang On-line version ng Course? Habang panahon kaibigan! Maganda nga na mag-log in ka madalas kahit meron kang E-book sa mobile mo para makita mo ang mga bagong training content na idadagdag. Bonus na yon, wala ka nang additional na payment. Para saan ang mga Exercises? Praktis yon. Para malaman mo kung gaano mo natutuhan ang 6-Steps Technique na tinuro ni Doc Mon. Kung meron ako gusto itanong, ano ang gagawin ko? Email mo lang si Doc Mon del Rosario sa docmon@mondelrosario.com. Sasagutin niya ang concerns mo as soon as possible. Pagkatapos ko sa Course na ito, ano ang mga iba pang training tungkol sa Songwriting? Si Doc Mon ay magkakaroon ng regular Seminar/Webinar Workshops at One-on-one consultations. Wait ka lang sa mga announcements dito sa site at sa FB page ni Doc Mon. Talaga bang SUPLADO si Doc Mon kaya ganoon ang title ng book niya? Si Doc Mon ay supladong malambing at mabait sa mga kapwa niya songwriter- datihan man o baguhan! Promise!